Had some fun cloning myself using the iPhone panorama camera mode earlier this year, during a down day at White Sands, NM. Basically, what you do is take a photo yourself in the first shot, go behind the photographer and put yourself in position for the end portion of the panorama sweep. Panocloning! I took this photo outside Canadian, TX, back in 2009 while driving away from a storm that was dying out. 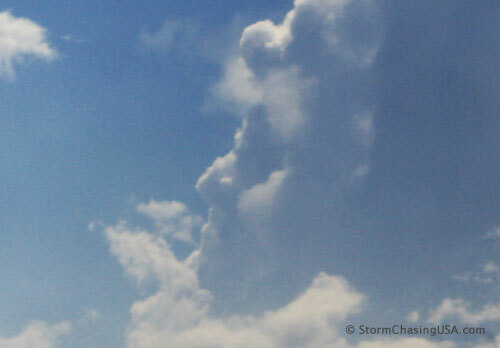 This portion of the cloud instantly caught my eye since it was an almost perfect face in the clouds. …and a zoomed in and higher contrast-version of the same photo.